Let’s take a look at some Top Rated Water Softeners today. It’s easy for us to take water for granted water’s importance in our diet and water’s importance in helping us with the daily chores at home. Besides keeping us hydrated and healthy, water is also a very important tool that is responsible for many different functions. 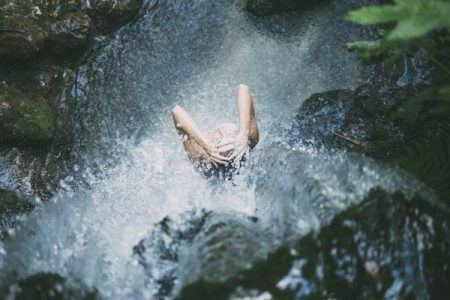 Yes, water does a great job in carrying and holding things, which unfortunately includes unwanted hard minerals, and it does so either by suspension or dissolution. When water holds too many unwanted contaminants it is time to check out some top rated water softeners online or at your local water treatment agency. Unlike regular household tools, water doesn’t come with a manual. Otherwise you wouldn’t wonder why the water you thought to be clean is clogging your plumbing system, why there are films on your water fixtures and faucets, and why the dishes you just washed still have spots on them. This is where top rated water softeners play a significant role in addressing one of the biggest problems that you may encounter with your hard water supply: scale deposits. 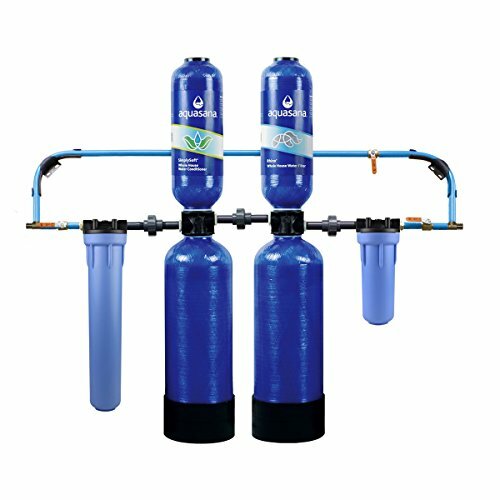 Water softener systems come in different types and size and each has its own amazing way of making your water soft and preventing it from causing corrosion and limescale headaches. If you are looking for the best option for your home, there are three popular types to choose from: salt based water softeners ,salt free water softeners, and electric water softeners. So let’s take a look at how each type works at treating your water decide which is the best system to suit your household needs. The traditional salt-based water softener is a mechanical system that trades hard minerals, mainly calcium and magnesium, for something else, that’s salt in this case. This tradeoff is called ion exchange, which is the operating principle that all salt-based water softeners follow. At the heart of this system is a mineral tank filled with resin beads which attract the hard minerals to cling onto them as hard water passes through. Meanwhile, in a separate tank, a brine solution (often using common table salt) is created to flush the calcium and magnesium ions out the tank and down your drain. This softening process gives you nothing but cleaner water that’s safe to use anywhere in your house. On the other hand, as its name implies, salt-free water softener doesn’t use any salt and resin beads to deal with hardness in your water. Instead, it uses a catalytic reaction to change calcium and magnesium into crystals that can’t bind to your pipes and appliances. So in essence salt free water conditioners don’t physically remove hard minerals from your water. Instead, the catalyst media just alter their chemical state to prevent scale buildup, relieving you of clogged pipes. This unique conditioning process also means less maintenance without the need to regenerate or backwash, making it a cheaper option than conventional water softener. Unlike the first two systems, an electric water softener, otherwise known as a descaler, operates in the most intriguing way. You won’t require any additional plumbing work to protect your household items as well as your skin and hair against damaging limescale. Simply wrap the cable that comes with the device around the outside of your incoming water pipe to form a coil. The electronic water softener machine then does its magic by applying frequencies of electromagnetic fields to your hard water, which suspends its ability to cause scale deposits on you pipes. The hard water deposits that would have otherwise made their way into your washing machine or drinking glasses have instead been discharged into the drain. Another interesting thing about this conditioning process is that it gives the treated water increased solubility; meaning it can even soften or dissolve the existing scale deposits both from within your pipes and appliance and outside of your water system. Using any of these top rated water softeners regularly will result in much easier cleaning, spotless fixtures, shinier dishes and healthier skin and hair for your entire family! If you want the most hands-off system that’s also the most reputable among the top rated water softeners online, then Fleck 5600sxt may be the best option for you. Review after review, it’s considered by many customers to be the go-to system. If you have a medium to large family, this product is best suited for you with its 48,000 grain high capacity. It’s more than capable to handle even the most demanding household water softening needs. The entire softening process is efficiently managed by the most in-demand meter based control system. This only means a much easier life for you since all you need to do is to change salt pellets periodically. When it comes to an efficient cleaning cycle, commonly known as regeneration, it also happens automatically so you consume water just the right amount without wasting it. On top of all that, if you have only basic plumbing skills this system can be easily installed. Once it has been set in place, it will effectively remove hard water elements that make your hair and skin dry while ensuring that your water tastes better and save your appliances from expensive repairs. If you want a salt free system and also a good investment, then Aquasana is the best way to go. This salt free softener can last you up to a staggering 10 years. With this system, you can forget all about lugging bags of salt. 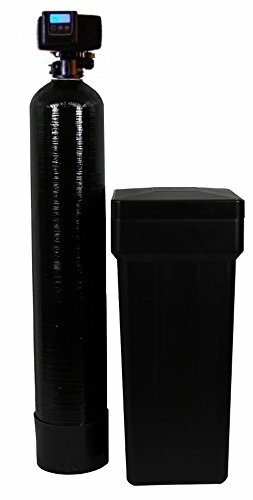 It’s not your usual water softener as it comes with other filtration elements from which you can select from, depending on your specific water issues. First up, the crystallization process it undertakes is claimed to reduce scaling by an outstanding 99.6%, making it the perfect solution for the hardest water problems. In addition to forgetting salt refills, you also save money on running costs because it doesn’t require additional water and electricity to work. Another feature that makes it one of the top rated water softeners you can find is its ability to remove chlorine nasties from your water up to 97%. Eddy Water Descaler:Top Rated Water Softener that’s All Electric. This system is a shoe in if your looking for a top rated water softener that’s all electric. 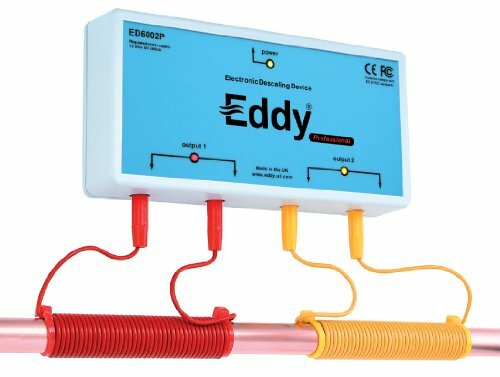 The Eddy Water Descaler creates and utilizes a magnetic field (through the cable wrapped around your pipes and powered by electricity) to suspend the hard water’s capacity to cause scale buildup as mentioned earlier. A major advantage of this system is the good amount of savings you’ll benefit from not needing to purchase countless bags of salt. In addition to its effectiveness in reducing and avoiding limescale deposits, almost all users noted that it can very easily be installed. Clearly, this electromagnetic descaler deserves to be hailed as one of the top rated water softeners. Any one of these top rated water softeners will do a good job in improving your water quality. Now you need to decide which type will be the best fit for your household needs, so what’s it going to be, salt, no salt, or electric?